HLS Sheep 16 - Hudson Livestock Supplements Inc.Hudson Livestock Supplements Inc. The HLS™ Sheep 16 is designed to be fed to sheep when additional protein may be needed, such as on poor quality or mature pasture. With the increase in energy and protein, as well as available vitamins and minerals, supplied by the HLS™ Sheep 16 your animals are able to achieve their maximum genetic potential. With a high sugar content, the HLS™ Sheep 16 is a great tool for flushing ewes prior to breeding and to aid in the prevention pregnancy disease during late gestation. 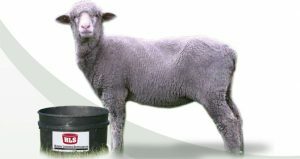 Why should HLS™ Sheep 16 be in your supplement program?